The government is continuing to make efforts improve the Insolvency and Bankruptcy Code (IBC) for which the Insolvency and Bankruptcy Board of India (IBBI) will continue to interact with and seek feedback from various stakeholders. The government is also working to augment National Company Law Tribunal (NCLT), through a dedicated cadre so that there are adequate judges for growing adoption of IBC. NCLTs will also have a well-staffed back office with professionals to help speedy comprehension and adjudication. These are other issues emerged in a meeting called by IBBI in Mumbai. The meeting presided over by Dr MS Sahoo, chairperson of IBBI and was attended by Rajnish Kumar, chairman of State Bank of India (SBI) along with officials from both the IBBI and SBI as well as academicians, researchers and insolvency professionals. To facilitate liquidation as going concern, it was decided during the meeting to have a task force to come up with feasible structures and amend IBC and liquidation regulations suitably to make success of liquidation as going concern. The preferential, undervalued and extortionate transactions under section 43, 47, 50 and fraudulent transactions under section 66 can be filed only by RP or a liquidator. There is lack of clarity on logical conclusion of petitions under these sections after the RP or liquidator move out. Regulations will be amended to ensure that these petitions are effectively concluded. A fund will be set up to fund such and other activities to ensure efficacy of the IBC. Earlier, the regulations defined dissenting creditor as a creditor who voted against the resolution plan or abstained from voting for the resolution plan. Last month, the IBBI removed all references in the regulations to dissenting creditors by an amendment to the regulations. IBBI is also working on rules, which will enable creditors to go after guarantors of ailing companies for recovering dues. This will tighten the grip around companies as well as their promoters who had given personal guarantees. Despite apprehensions emanating from massive failure of SICA / BIFR and also of RDDBFi and SARFAESI Acts, IBBI has indeed proved to be a potent legislation. That's because of inherent strength of legislation and the institutional mechanism of IBBI. To its credit, IBBI had evolved the Code at a furious pace, and with the precedent set in by Dr. MS Sahoo, IBC is set to evolve further to perfection. A good signal for the business. If the feud between the government and the Reserve Bank of India (RBI) escalates further (as reported by several media organisations), there is a good chance that governor Dr Urjit Patel will throw in the towel at the next board meeting on 19th November. Sources, who are in touch with the governor, say that he is not only tired of the fight with the government, but it has also been impacting his health in a big way. The RBI has been at loggerheads with the government over three demands: transfer a higher portion of its reserves to the Centre to keep the fiscal deficit in control; inject more liquidity into the system to stave off a possible blowout among housing and finance companies; and relax the norms for prompt corrective action (PCA) and income recognition of banks. The spat spilled out in the open after RBI deputy governor Viral Acharya spoke about the consequences of messing around with the central bank's independence while delivering the AD Shroff Memorial lecture in Mumbai on 26th October. Since then, the government has been openly critical about the RBI and seems prepared to use its powers under Section 7 of the RBI Act to issue directives to the central bank. While various governments, starting from the first prime minister Jawaharlal Nehru, have been in confrontation with RBI governors at various times, it is believed that no government has issued directives to the central bank under the provisions of Section 7 in its 83-year history. Dr Patel is an unusual governor. He is extremely introverted and unimpressed by the trappings of power that the post brings with it. Unlike previous governors who revelled in the sprawling heritage bungalow at Altamount Road in Mumbai allotted to them, Dr Patel had not even moved into it. This is primarily because it does not suit the needs of his aged mother who lives with him. While a Mumbai newspaper reported that the bungalow is being fitted with a ramp and other changes for the governor, those who know him say that he is not too keen. According to a RTI (Right to Information) query based article in the Indian Express, Dr Patel has also no support staff at home allocated by the RBI. Interestingly, Dr Acharya, the deputy governor, who is at the centre of the RBI-government faceoff, is also immune to the trappings of power and position associated with the job. Dr Acharya, who is on leave from the Stern School of Business, New York, lives in Juhu-Vile Parle, a suburb of Mumbai because he wants to be able to spend time with his parents during his Mumbai assignment. Sources say that he too may take a call on whether or not to continue, if Dr Patel chooses to quit. In an election year, after the economic setback already caused by the disastrous decision to demonetise currency, the government is desperate to revitalise economic activity. But it will find it hard to give a positive spin to the resignation of two top central bankers at a time when the financial sector is in turmoil and beset by multiple scams, largely due to collusion and complicity by public sector bank chiefs, whose appointments are the government's prerogative. Nearly 10 PSBs were headless for large chunks of the NDA’s (National Democratic Alliance) first term. Dr Patel took over on the eve of demonetisation and has silently carried the can for the government's disastrous decisions. There wasn't a peek out of the RBI even when Dr Patel was personally criticised for various policy changes and flip-flops that were mainly at the behest of the government. Or the fact that it took a whole year for the demonetised currency to be counted and come to the conclusion that over 99% of the scrapped notes had come back into the banking system, underlining the utter failure of the demonetisation plan. RBI insiders tell us that the notes had to be repeatedly counted under directives from the finance ministry, which was probably unwilling to accept that all the 'black money' is now sitting with banks. Moneylife's own RTI filings show that large chunks of this currency, is in JanDhan accounts. 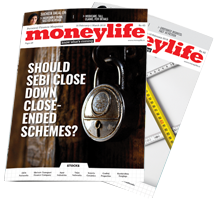 While it is unclear what turn the RBI-government face-off will take at the next board meeting, we at Moneylife believe that there is certainly a need for the central bank to become more transparent and accountable to the public. Its performance as a banking supervisor has been very poor, it is not subject to any audit even on operations and it has zero accountability for its regulatory and policy decisions as well. Not only is decision making extremely slow and capricious, but the central bank has displayed the attitude that nothing it does can ever be questioned, even when those decisions have nothing to do with monetary policy. RBI has not done anything effective about banks mis-selling third party products and refusing to pass on the benefits of lower policy rates to floating rate borrowers. Besides, RBI has openly defied the orders of Supreme Court and Central Information Commissioners to publish the details of wilful defaulters. Urjit Patel was the RBI Governor when "note-bandi" happened. Why did he not object to it then ? Especially, since he was not even consulted about it. Any idea why he kept quiet ?? Did Unit Patel or his predecessor say that RBI was not consulted? Why Urjit Patel should object DeMon ? Moroni must close RBI or appoint Sambit patra our future FM as RBI governor. Any organisation which creates trouble for PM must not exists, even justice or judiciary is not above democracy and democratically chosen leader. Paradise Papers: one more proof of RBI abdicating its responsibility under FEMA. When ODI transactions are done it should be reported separately to RBI and annual activity report is to be filed. The lac or non monitoring of these transactions by RBI as well as Authorised dealers is to be blamed. Many a times companies never submitted these and not followed up. They never monitored advance received towards exports till it was brought to their notice by me after the modus operandi in Augusta west land case. Edpms from 2014 has thrown out 88000 defaulting exporters. Other leg Idpms is yet to be implemented which may throw up many more. The third party import of gold scam in 2000 not investigated nor action taken inspite of having data with them. So it is regulator who are protecting and supporting such culprits and harassing whistleblowers. Even interact with pm portal also is of no use. It is only political upmanship no logical actions. RBI is seat belt if Govt is driver says Rajan the Indian express dated 7/11/18. If seat belt instead of functioning as safety measure functions as engine and prevents driving then it should be replaced. The contingency fund is created for contingencies. If it is not utilised during contingency then what is the purpose of creating it. To day Foreign currency as well as capital market and shortly commodities market also will be at the mercy of FIIs. India may be a bailout facility for these FII s like Enron allowed to use India. Long back suggested having capital market intervention fund to prevent FII taking advantage and control of foreign currency and capital market operations. 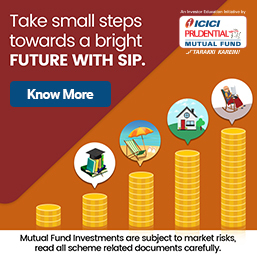 In the name of safety of small investors they are virtually driven out of capital markets by SEBI. So a major counter force from capital market has been made redundant and is in the mercy of institutions. They allowed conversion of longterm financial institutions into banks on pretext of cheaper funds. And allowed funding longterm needs by short term funds. Borrower as well as lender resorting to this mismatch of asset liability compounded the banking crisis. And you have to correct it. And instead of doing it more concerned about independence is actually fraud with the public interest. Hope the authorities realise and take corrective measures instead of squabbling over the independence of authority and driving the economy in two different directions. I am sharing my 2 year old post to pgportal. Now when Rajans letter to PMO about borrowers is trending this may be more relevant for pointing out failure of RBI. In 44 years India lost Rs.17 trillion to scams in exports. And 95% of this amount in last ten years. Hindustan Times DTD 2/11/2016. The STI set up by supreme court should look into the role of RBI in facilitating this through various liberalisation moves which only facilitated round tripping and money laundering. Even many of these issues brought to their notice during last 10 years have been ignored by them and even finance ministry, PMO, and presidents office. The FEMA implementation by RBI since 2005 has been only facilitating these moves and authorised dealers are misusing the powers given and RBi is sleeping. The non monitoring export failed where advance remittance is received since the days of FERA is the failure of RBI. The monitoring has started only after I wrote to the governor about this fact on reading about modus operandi in Augusta Westland scam to round Tripp the commission. That too is inadequate. RBI has not acted on Gold import scam in 2000 even though they have data and even after my RTI quirky. This shows the entire govt authorities are lined up to create and facilitate black money. They can also verify GIFT remittances under LRST and my various posts. I am not at all financial expert but I see this more of a ego issue between RBI & GOI. Mr.Acharya never attended the last meeting between GOI & RBI which happens in regular intervals to check the current status of economy . Govt. Had asked for Rs.60k crore as a dividend amount from RBI it gave only 30k crore . This effects govt. Various schemes it has declared. Due to PCA ( Prompt Corrective action) where it is not allowing PSU banks to lend money due to strict rules regarding it's NPA . So big amount of around 2 lakh crore is lying idle with psu banks . GOI has asked RBI to relax some rules a bit so that these banks can lend & help to resolve liquidity issue currently facing in the market. RBI has refuse to do so . One side it's not giving GOI any surplus dividend & other side stopped PSU banks from lending They have trapped GOI badly . In 2008-9 at the time of serious crisis RBI made a special SPV & pumped in liquidity through it . It even supported govt. in its Demonitisation . Why RBI is so adamant now dont know ? By choking liquidity it will stopped the growth . There are many intelligent people in RBI & GOI both should sit together , shed their egoes & solve this issue on top priority. Bhakts would have called into question the nationalism of the RBI governor had he not been appointed by the Modi govt itself. Thanks for highlighting the many failures (& obduracy) of RBI folks in the last 4 paragraphs. Can you please clarify why RBI is objecting to tranferring excess cash with it to the gov if it can help reduce deficits? Afterall, it is all nation's wealth after all. I'm not trying to comment on your perceptions. But, if comfortable, kindly visit my blog http://www.warriersblog.com to read my article "India's Central Bank: Challenges Galore" published in The Global ANALYST, November 2018 issue, posted at my Blog on November 4, 2018. The article was written during the second week of October 2018.
to a layman it seems that the govt. takes pride in appointing Indians who are at covetous positions abroad to handle indian economic policies but at the same time, keeping the british tradition intact of having control in the hands of bureaucrats and politicians the govt has still not got the right mindset in place to ensure that india is governed by indian standards (which itself is an oxymoron) than by standards set by some foreign policy body that wants to govern the world economy to favor a few top bosses. the RBI Governer and Dy Governer are but pawns. those personalities which come with independent thinking and expect an open work environment won't be able to work with such remote controlled governance. unfortunately Indians are literally, and in reality immune to the way the governance is working across the board and only a few are left who want things to be improved. Once they are also gone, the later current generations are left without a moral compass, so you can imagine the situation that is going to befall the kids of today when they come of age in the next 10 yrs and move into their futures into the 2050s-60s. The situation expected then, is very gloomy and waiting for a miracle to happen to correct the state of this nation, and the world in general. Anyway, at the philosophical level, in Kaliyuga, things are bound to be bad, till the proverbial 'Pralay' comes to reset and hardboot the system - afresh. If Moneylife perceptions are based on hard facts and not hearsay, one need not worry too much about a change of guard at Mint Road. Unlike some of the Governors and their deputies earlier, Urjit Patel and his team may not become jobless, if they walk out of RBI. The Section 7 threat has no substance. As it stands just now, GOI can use Section 7 of RBI Act only when RBI Governor needs a direction to handle a recalcitrant central board. Such a situation doesn't exist today. It's open for GOI to amend Section 7 to suit whims. The catch is, even that will need RBI's support! The BSE sensex shd crash 2000 points when this happens on 19 Nov.All honest people being booted out.Which honest government executive has lost his mind to work when their bosses are dishonest with such examples. This will be a major set back for the Government and this will prove to be very costly to the Government. If one were to go by the performance of the Government and RBI one can easily conclude that RBI has been doing an excellent job with all limitations it faces because of lack of independence and too much of interference both from politicians and bureaucrats. But for RBIs professionalism the economy in general and financial system would have been in a total mess by now is what needs to be appreciated by those who have no political bias and who care more more public interest. It is high time the intelligentia of this country analyse as to who delivers more in public interest between the Government and RBI with all their powers populistic and professional approach. The fact remains that RBI is managed by Economists and non I AS professionals with commitment to do be of real service to people where as the Government has the support of bureaucrats whose objective is always to win the next election by hook or crook and remain in power . The financial system has gone weak because of planned loot by borrowers with the active involvement of politicians and bureaucrats keeping the RBI under check by all means. The institutions are being made weak and non performers by the Government and this is what needs to be realised. Truly said. But unfortunately masses do not understand the real picture. They are driven by adventurist Govt. Looks like RBI needs to be more public-friendly . Is the RBI trying to tinker with the raison de etre of the Republic of India and interfere with the right of every Neta-Babu-Cop-Milard-Crony Kleptocrat to apply the resources of the Nation to personal pomp, pelf, pleasure and perpetuation? Who appointed the RBI as the class monitor? Some idiot white man like Hilton or Young? That was before 1947 Aye! And what on earth will provide employment to all the artisans of the printers' art? If rendered redundant they might start competing with China and Pakistan as bespoke printers of fine Indian currency and establish, yet again, that un cronied private sector "makes" in India what Bharath Sarkar ki Sampathi dare not. India's Central Bank is not really a Central Bank. It is a Neta-Babu sinecure. It has been since inception when it was carved out of the Imperial Bank of India in 1935 on the basis of the Hilton Young Currency Commission and the Radcliffe Committee Report. It is merely an instrument of State Policy with no autonomy whatsoever. The old Imperial Bank of India (amalgamated from the Bank of Bengal 1806, Bank of Bombay 1840 and Bank of Madras 1843 in 1921) and its successor, the State Bank of India (1955) had far greater autonomy than the RBI until Indira Gandhi amended the State Bank of India Act to sack Chairman R. K. Talwar in 1975 (her fascist rule during "emergency") for not enthusiastically aiding and abetting her plunder of the financial system for her minions, cronies, party and cohorts. (Sanjay Gandhi and Janardhan Poojari spear headed the heist). This might be sacrilege if not down right seditious. In an India where "deficit finance" is an economic intervention, "profligacy" is a Government "Budget" and economic growth is half of the Central Banker's objectives, and where casteism, gender discrimination and communalism are enshrined in the Constitution and laws as apposite measures for entitlement to privileges, tax exemptions, opportunities and to expand backwardness as the snake charmers of modern India; where corruption and inflation are the only secular forces! Dr Manmohan Singh is not from IAS. He is also an exception having been appointed from outside. of the Babudom. An unheathy Finance minister makes others around him unhealthy as well. Several banks in India, which are using Microsoft Office 365 cloud-based email services are sharing financial data of customers with US agencies, says a report. In the report, DNA Money says this was pointed out by Reserve Bank of India (RBI) in its risk assessment report (RAR) and the central bank had asked banks in the country to explain financial data sharing with authorities abroad. "According to the document the banks were aware of the issue because they had purchased and migrated to Microsoft’s cloud-based email service – Office 365. All the mailboxes had been migrated to office 365 Microsoft cloud environment. It was gathered from the Microsoft transparency hub that Microsoft is bound to share customers’ data under US Foreign Intelligence Surveillance Act (FISA) and US national security letters as and when required by the US authorities,” DNA Money says quoting the RBI report. Microsoft has disclosed information at least on 3,036 occasions and received more than 4,000 government requests or legal demand requests for Indian customers in the US, the report says. Microsoft, talking about cloud in financial services in India, says, "From a regulatory perspective, cloud is permitted. The regulatory framework in India permits the use of cloud services, including public cloud services. Banks are required to report to the RBI if the scale and nature of the activity outsourced is significant and/ or if extensive data sharing is involved across geographic locations as part of outsourcing and where data pertaining to Indian operations are stored or processed abroad." "Transfers of data outside of India are subject to specific requirements. For public sector banks, the Central Government has issued specific legislation requiring them to seek and obtain permission before transferring public records outside of India," Microsoft added. Microsoft, on its cloud-specific page also talks about success stories of State Bank of India, Yes Bank, Jamia Cooperative Bank Ltd and Kotak Mahindra Bank. Among these lenders, SBI uses Office 365, the cloud-powered productivity solution from Microsoft. "This is one of the largest deployments of Office 365 in India, spanning SBI’s countrywide network of 23,423 branches, enabling 263,000 employees and servicing more than 500 million customer accounts," Microsoft added. Responding to a query on sharing financial data of its customers with authorities abroad, SBI told DNA Money that during 2016 and 2017 they have received no request from US intelligence agencies regarding the customer data. “In 2016 and 2017, Microsoft has advised that they received zero demands from the US law enforcement for commercial enterprise content (50+ seats) located outside the US. In the first half of 2018, the latest time period for which Microsoft has data available, there was one demand from the US government for content data of a commercial enterprise located outside of the US and Microsoft notified the customer, which is not SBI,” the report says quoting a spokesperson from SBI. While transferring data abroad, financial institutions in India are required to practise certain safeguards and measures, including reporting to RBI where applicable, enhanced due diligence and monitoring requirements, maintenance of original records within India and excluding the jurisdiction of foreign courts.